Day before yesterday I drove to the area north of La Junta, CO to bird under unusually cold temps (in the 40's, which is especially unusual for this lower elevation area in early Sept). 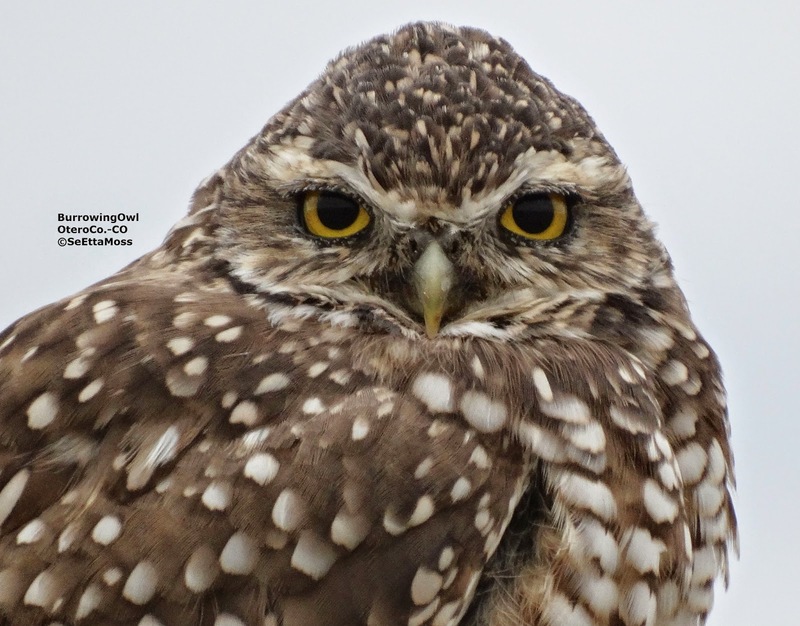 Among the several Burrowing Owls I spotted was this one perched not far from the road. I approached carefully in my car (stayed in the car and was very quiet to reduce disturbance) until I was able to get these close up photos that I have cropped to provide very close up views. I took these with my Sony Cybershot at 50x under challenging overcast conditions that were of high quality so I could crop them (except the one just below that was too close up to crop any).